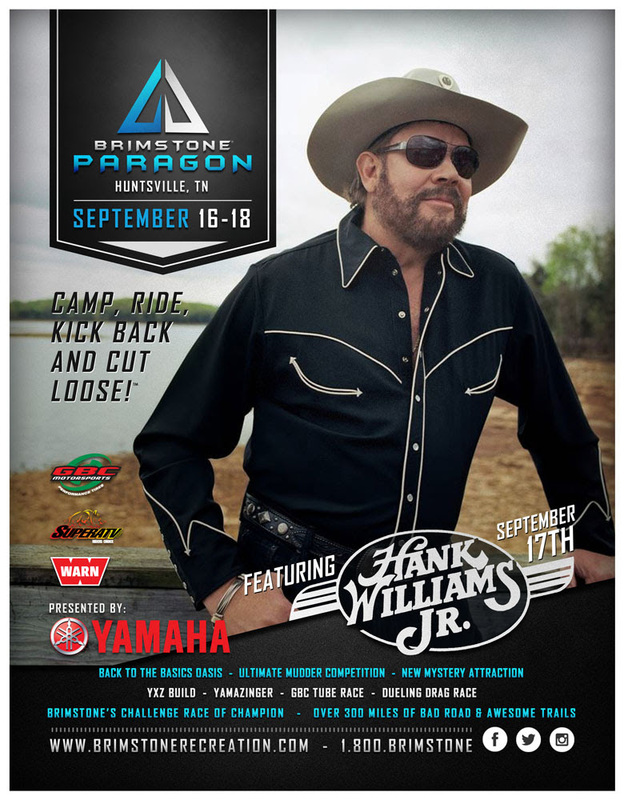 Hank Williams Jr. is breaking records at Brimstone! Get Hank'd Up at Brimstone! Join us for the all new Brimstone Paragon on September 16-18! Country icon Hank Williams Jr. will be performing on September 17, 2016. Hank Williams Jr. has under his belt: 20 gold albums, six platinum albums (one of which has sold more than five million copies) and 13 chart-topping albums. He has been selling out massive venues for a longer period of time than a lot of us have been alive. Brimstone's Vanderpool Event area is proving to be no different for this legend. The current ticket sales and reservations are already breaking records for us here at Brimstone! You cannot find this caliber of entertainment in conjunction with the best trails and gnarliest off-road competitions anywhere else in the world! Make plans to be a part of this event today. Tickets can be purchased online www.brimstonebands.com. Reserve yours today and avoid the long lines. For more information, please visit www.brimstoneparagon.com or call us at 1.800.BRIMSTONE. Thanks for being the best part of Brimstone®. *All riders must also purchase a riding pass.